Last chance to submit nominations for 2016 Name of the Year! The Name of the Year selection for 2016 will take place tomorrow, Friday, January 6th, at 12pm (CST) at the annual ANS meeting in Austin, Texas. Please send any last minute nominations to the American Name Society today! Email any last minute nominations to info@AmericanNameSociety.org. Tweet any last minute nominations to @AmNameSociety. The names selected will be ones that best illustrates, through their creation and/or use during the past 12 months, important trends in the culture of the United States and Canada. Personal Names: Names or nicknames of individual real people, animals, or hurricanes. Place Names: Names or nicknames of any real geographical location, including all natural features, political subdivisions, streets, and buildings. Names of national or ethnic groups would be included here. Trade Names: Names of real commercial products, as well as names of both for-profit and non-profit companies and organizations, including businesses, universities, and political parties. Fictional/Literary Names: Names of fictional persons, places, or institutions, in any written, oral, or visual medium, as well as titles of art works, books, plays, television programs, or movies. Winners will be chosen in each category, and then a final vote will determine the overall Name of the Year for 2016. Anyone may nominate a name. 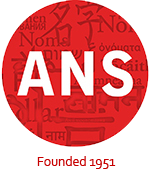 All members of the American Name Society attending the annual meeting will select the winner from among the nominees at the annual ANS meeting in Austin, Texas on January 6, 2017. The winner will be announced that evening at a joint celebration with the American Dialect Society.